Schools are little germ factories and back to school shopping is no longer just about buying crayons, backpacks and binders! Nowadays, parents look for natural health products to support better digestion, brain health, and immunity. With a variety of options like omega fish oils, kid-friendly multivitamins, probiotics, and more, parents have many ways to keep their child healthy all year long. Many parents are surprised to learn that 70% of the immune system lies in the gut. Poor nutrition (diets high in processed foods and refined sugars), elevated levels of stress and antibiotics may destroy ‘friendly’ gut bacteria and healthy flora, lowering your child’s natural body defenses. Make sure your child goes to bed and wakes up at the same time every day. Proper sleep habits support a healthier immune system and provides your child with a comforting routine. Because the body follows a circadian rhythm, children typically experience more restful sleep when they keep steady sleep patterns. While parents look forward to new routines, kids are readying themselves for another semester of classes, recess, and homework. Although your child might not be interested in going to sleep on time or eating a diet rich in fibre and fermented foods like kimchi and pickled vegetables – I bet they wouldn’t say no to a tasty chewable kids probiotic. Since many kids think probiotics are like candy, your only challenge will be hiding these delicious health boosters from them! 1. Eugene Arnold, L. et al. Artificial Food Colors and Attention-Deficit/Hyperactivity Symptoms: Conclusions to Dye for. Neurotherapeutics. 2012;9:599-609. 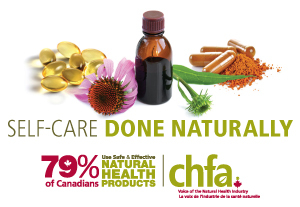 Dr. Sara is a licensed naturopathic doctor with 13 years of clinical experience. With her extensive educational background, she is a sought-after speaker and leader in natural health that has contributed to various media outlets. As National Spokesperson for Renew Life, Dr. Sara is dedicated to helping Canadians lead healthier lives.